Scholarship - Black Office Folder on Background of Working Table with Stationery and Laptop. Scholarship Business Concept on Blurred Background. Scholarship Toned Image. 3D. 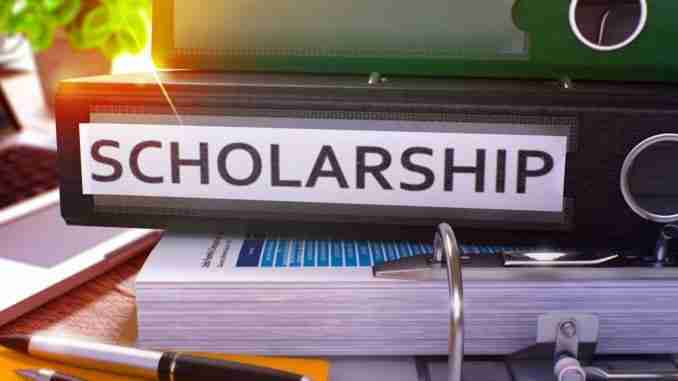 Charles City, Iowa – The Charles City Branch of the American Association of University Women is offering a scholarship to students. The scholarship is worth $1,000 and it is eligible for both males and females. There are a few requirements, however. Those being that the student must be working towards their bachelor degree and completed one year of study. This is available to any student who has attended a college. Application forms can be picked up at the Charles City Chamber of Commerce or by calling one of these numbers: 228-6732 or 228-6032. To submit the application, they should be mailed to 2982 Wedgewood Estates in Charles City. The deadline for applications is September 9th.